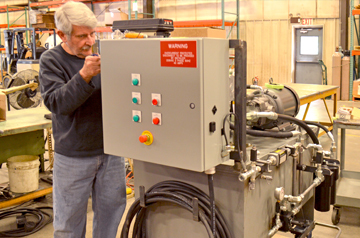 We specializes in the design and fabrication of custom hydraulic systems engineered to meet your business needs. Meeting your needs. We partner with you to custom design and build the hydraulic system that works best for your application. Taking advantage of innovation. We base our prices on the actual time and material involved, not vague industry standards. ISO 9001:2015 Certified. 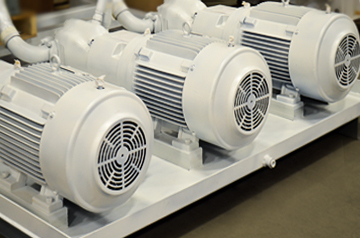 ISO standards ensure that our HPU’s are built to the highest standards of quality. From proof of concept to final product… RG GROUP can handle it all. Innovative Hydraulic Solutions (Division of RG Group) has an outstanding track record in the design and fabrication of hydraulic control systems, bearing lubrication, grinding and slurry pumping systems and filtration systems and subsystems for the mining and energy extraction industry. 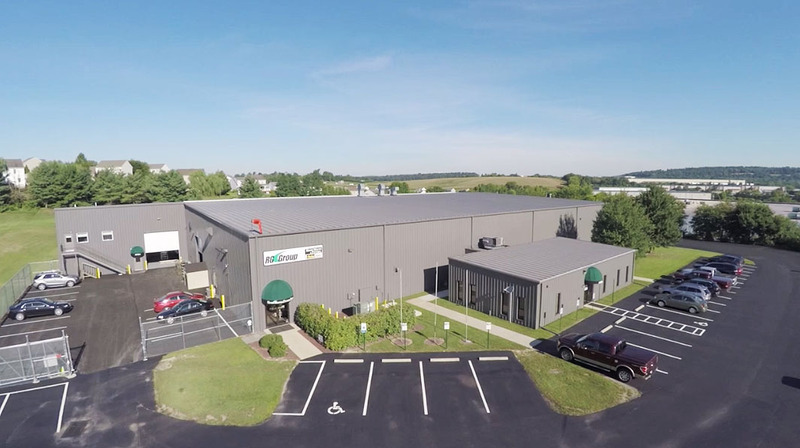 For 60 years, RG Group has designed, manufactured, installed and commissioned complex hydraulic systems for a wide variety of industries including the military, energy, infrastructure, entertainment and the industrial sector. 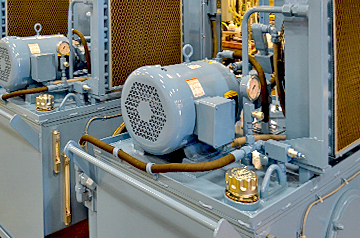 Whether it is prototype development for a military application or a large diesel system for the growing energy sector, RG Group provides the sophisticated and reliable systems that your organization relies on. RG Group has the experience and technical expertise to develop and deliver high quality and dependable systems for a variety of applications. Our projects include: US Army MMPV ramp hydraulic systems, US Navy Nuclear ship steam valve hydraulics, US Navy Ship to Ship Hydraulic Transfer, NIST – Wind Tunnel Positioning system, Safe Harbor Dam gate control hydraulic Systems, National Foam Mobile Hydraulically operated Water transfer systems, Viking Yacht Viper Steering Systems, Power Generation Large Conveyor Hydraulic Drive Systems, PODS new generation hydraulic transfer systems. We’ve built a solid reputation by hiring the best craftspeople around. RG Group takes great pride in designing and manufacturing custom hydraulic power units for mobile, industrial and marine applications. RG Group has been manufacturing, repairing and reengineering hydraulics for 60+ years. Whether you’re designing a completely new system or redesigning an existing system, RG Group can assist you from concept design to setting up your maintenance program. RG GRoup believes in a 3 single word core: PEOPLE. INTEGRITY. EXCELLENCE.